Giving your customers an identical branded experience through all interactions with your company — in-store, online, mobile apps, social networks, and even shopping bags and packing materials. It’s no longer simply an option, it’s what consumers expect. That’s what the retail community told us in the recently released fifth annual Retail Insight survey, conducted with Retail Systems Research (RSR) for SPS Commerce. According to the responses of more than 500 retail industry companies, omnichannel is considered more and more as an expected part of the general business environment, rather than a “project” that has a start and an end. Anyone contemplating selling to consumers – including manufacturers and distributors as well as retailers – is concerned about how consumers’ purchasing preferences are shifting. And that’s essentially what omnichannel is – being where the customer is and delivering on their expectations in a branded, streamlined and hassle-free way. To give the consumer that branded, streamlined omnichannel retail experience takes a lot of behind-the-scenes work within the retail operation, especially in the back office, IT and the warehouse where fulfillment takes place. 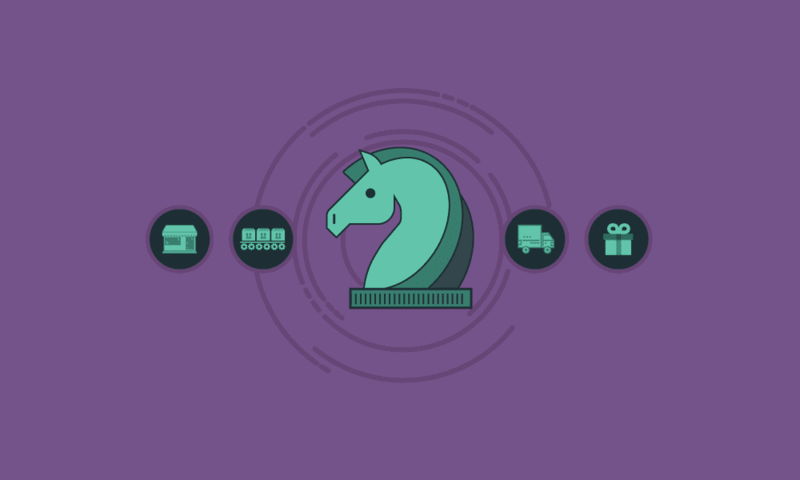 From the brick-and-mortar store to the digital storefront to the distribution center and all the connections that are made in-between, successful omnichannel retail doesn’t just happen without processes and policies being created and enforced within the operation to make it successful. SPS has had plenty of experience working with organizations that are trying to adjust to the new omnichannel retail landscape. It takes a new way of thinking throughout the organization to start the omnichannel engine, keep it running and make it successful, from executive buy-in at the top to the front lines where customer service and fulfillment specialists. Here are a few things to consider when creating a strategy to make your omnichannel efforts a success. You need the support of the C-suite. Embracing an omnichannel retail strategy throughout the company works best when the person or people at the top are leading the way. Ideally, the CEO would set clear objectives and it might be the single biggest initiative for several years until it becomes fully operationalized and the new normal. The Chief Marketing Officer (CMO) usually owns the overall brand experience and should help set some of the key metrics to measure customer success. Additionally, executive buy in is required to break down silos and territorial resistance that can happen with any kind of big restructuring changes, especially when it comes to cross-departmental shifts, which is exactly what an integrated omnichannel strategy will provoke. A disproportionate amount of the responsibility for the transition will fall onto the shoulders of the senior person in the technology organization – the CIO or the CTO. Technology is the lynchpin of a streamlined omnichannel experience for the consumer. After all, it’s the software and the data that shares all the relevant item attributes, inventory, order, payment, shipping and other information that’s needed for consumers to find, buy and receive the products they want. It’s the CIO or CTO’s job to assess the technological opportunities to support key business processes and create a vision to accomplish them. It’s also up to them to evangelize for the projects that need to be carried out to get the employees who will be carrying out those tasks on board with the new changes and processes. Understand your customers. If you’re in the B2B business, your definition of an omnichannel experience may be different that a B2C business. Learning more about your customers can also help you determine if you’re reaching out to them on the right channels or if there’s a gap that could be filled. Check out your competition. They may already be working in several of the channels. If they’re doing it, that means you probably want to be there too. But if your competition isn’t using a certain channel, that doesn’t mean you can’t. Depending on what you find in the data, you may discover untapped opportunities for going to where your customers are. Just as the internet and technology are giving consumers more shopping options, retailers and suppliers also have more options than ever to make omnichannel efforts successful. Depending on your scale, what you’re able to invest and your goals, there are many ways for companies to deliver on what customers expect, whether you choose to set up your own systems in-house, outsource processes or determine a hybrid system that works for your needs. If you’re a bigger company, you may be considering creating it all in house, which means you will likely have to make a bigger investment up front. To start, you’d need to hire additional IT staff to build out whole new business process workflows and supporting systems. You likely would need to invest in software and hardware to hold data and process tasks. Your whole warehouse, inventory, 3PL, shipping, carriers and other services related to moving around products will need to be retooled. Old processes will be thrown out the window with new ones taking their place. There is a significant degree of risk in taking on a wholesale omnichannel transformation as the backbone of the retail system landscape is being supplanted, most would be advised to get assistance from a leading global system integrator with deep experience in these projects. You can gain many of the benefits of omnichannel retail by outsourcing your e-commerce, marketing, EDI, fulfillment and other processes. This is an especially great option for smaller companies because the costs to get started with omnichannel retail tend to be lower than bringing it in-house, though there will be regular subscription costs associated with whatever services you outsource. A hybrid system is also a consideration. With a hybrid system, some services and processes are brought in-house while others are outsourced. This allows a retailer to migrate key processes to the web over time to get a quick win and value without major disruptions. 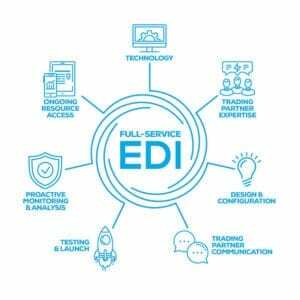 Retailers of all sizes are leveraging hybrid systems to create seamless omnichannel experiences, choosing to internalize specific functions that are core to their business and outsourcing areas with more proven external solutions or needing to scale more quickly, such as EDI and logistics. Your marketing plans should be centralized and integrated across all channels. If you have different departments managing different channels, you’re bound to cross talk with prospects, bombard them with too many messages, overload them with options and worse. This is a surefire way to annoy a potential customer into unsubscribing and choosing your competition instead. Centralizing your marketing efforts is an important infrastructure configuration you need to tackle before you launch an omnichannel initiative. If you’ve been running several different marketing departments to cover your different sales channels, you need to retool them and make some changes if you want a single voice speaking to your customers. Again, the CMO or head of marketing needs to oversee this new alignment. Your retail company or brand may already be successful with what you’ve tried in the past, but it takes a different kind of strategy to be successful with omnichannel. Companies can be strong in different ways that aren’t aligned with your goals in the new digital era. For example, retailers like Macy’s and The Limited have been around for decades, but they’re both struggling in different ways. Macy’s hasn’t been able to reliably execute on an online shopping experience that significantly enhances or extends a store visit and is suffering for it, losing customers and closing stores. The Limited recently shut down all of its brick and mortar locations to strictly sell products online and recently declared bankruptcy, in part because it’s having a hard time competing with fast-fashion chains. With such big retailers struggling, it might seem scary to jump in to omnichannel – but like we mentioned at the beginning of this article, consumers expect it. If you’re not present on the channels where your customers are, they will overlook you for a brand or retailer that is. For retailers to survive and thrive in the new “Amazon era” of retailing, the heart of the omnichannel strategy has to leverage brick and mortar stores. Retailers can differentiate themselves by creating a unique customer experience that centers around in-store which is fully supported / enhanced by integrated omnichannel interactions. It is becoming increasingly more difficult for retailers to have an e-commerce first or only approach. You can find success in this new digital era with a good strategy. That starts with setting out clear goals for what you’re trying to accomplish, discovering where your customers are and determining where your strengths lay. Is your strength innovating? Are you strong on execution? Is your customer service unbeatable? The quality of your products unmatched? Use your best characteristics as a foundation for moving forward. Successful omnichannel efforts are more than just making sure your website matches your mobile app. It’s a company-wide effort that will affect many, if not all, of your employees. With a well-planned strategy that starts with your strengths and aims for clear goals, you can achieve success in the omnichannel retail landscape. Would you like to learn more about the results of Retail Insights: Moving Beyond Omnichannel, our fifth annual retail industry survey? Download the complimentary research report to see how your 2017 plans compare with your competitors and peers. Whether you’re developing an in-house, outsourced or hybrid strategy, you could use some established omnichannel transformation experts on your side. SPS Commerce software, services and products can help retailers, suppliers and 3PLs orchestrate your omnichannel retail efforts. For more information, please visit the rest of our website or ask to speak to one of our SPS specialists. For more than 20 years, Rob has been an agent for change with a proven track record of unearthing and implementing new business solutions. As a trusted advisor to executives, he helps drive joint go-to-market initiatives that lead to tangible results. Rob has built an impressive record of fostering win-win opportunities with customers and partners through his product management, marketing and sales roles. Rob graduated from the University of Minnesota, Carlson School of Management with a Finance MBA, Beta Gamma Sigma Honors, and an undergraduate BS degree in Marketing, Minor in Economics.